Pretty as they come and ready for embellishment. 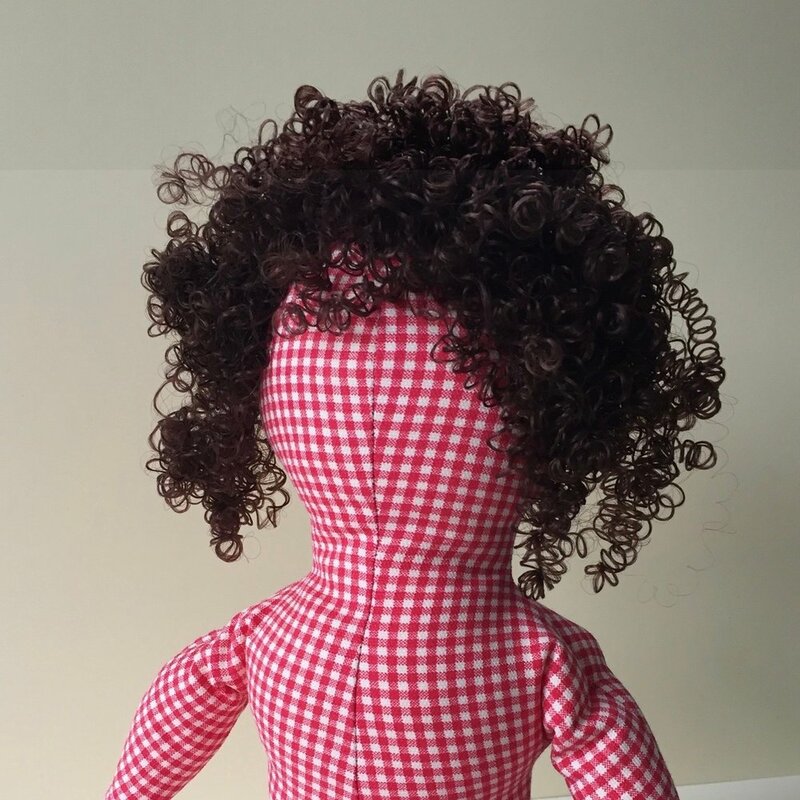 Stafford Dolls are pretty just the way they come with their gorgeous fabrics and beautifully proportioned soft bodies. Each large doll comes with three tacks along the crown of her head. Rows of elastic, rick rack, ribbon, or string can be threaded through the tacks. Elastic cord is great because it makes attaching the “hair” so easy! 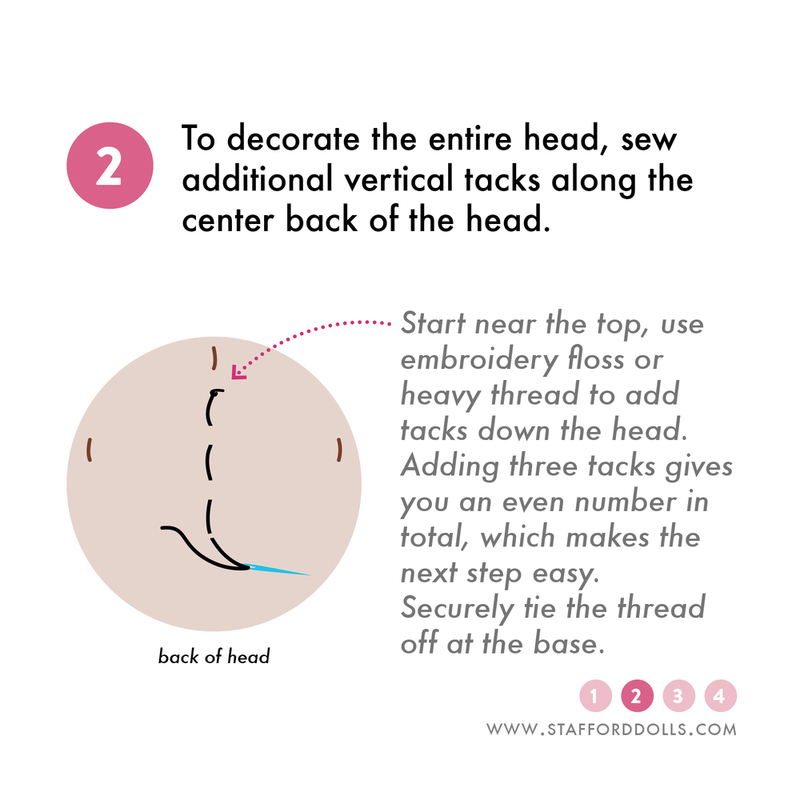 Additional tacks can be added, as illustrated below, for a very full head of hair. 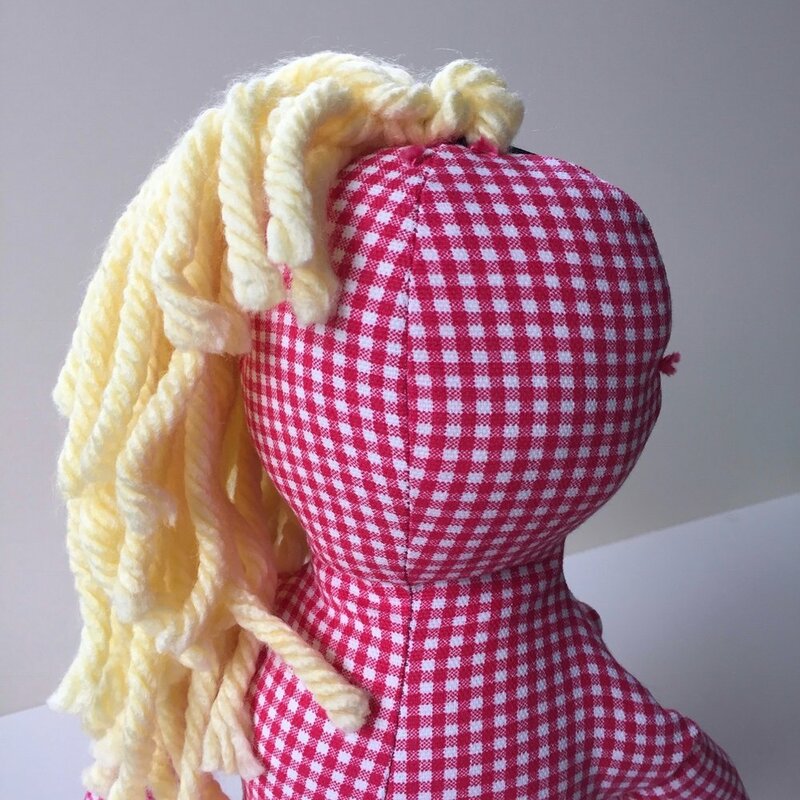 A handful of yarn makes a headful of hair. 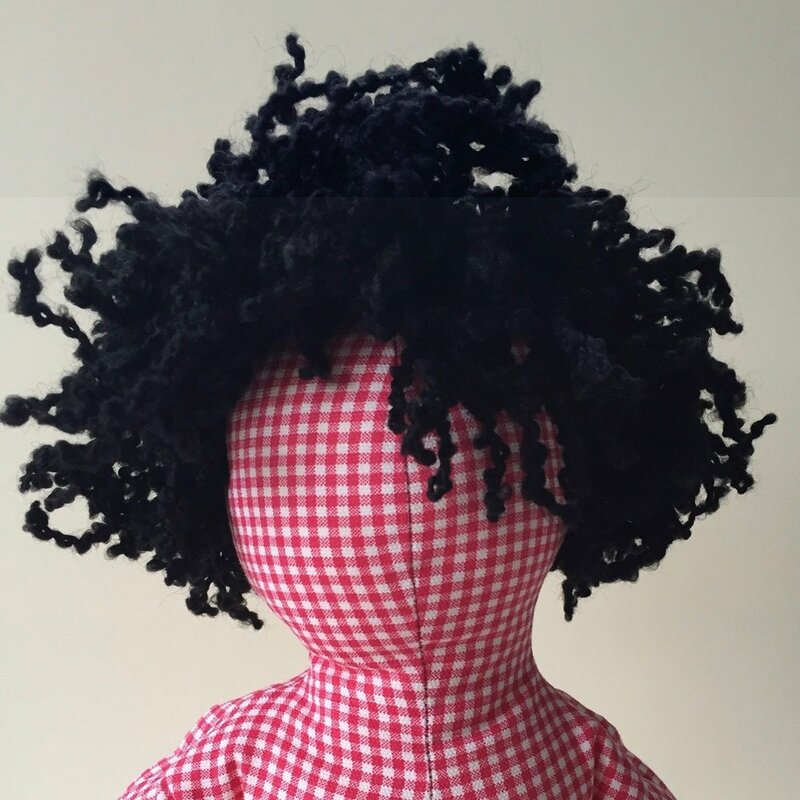 Yarn and tulle are especially fun “hair” choices for styling and cutting. Experiment with ribbons, macramé cord, cloth strips, felt, lace, doilies, pipe cleaners, holiday picks, artificial fruits, flowers and of course, doll hair. 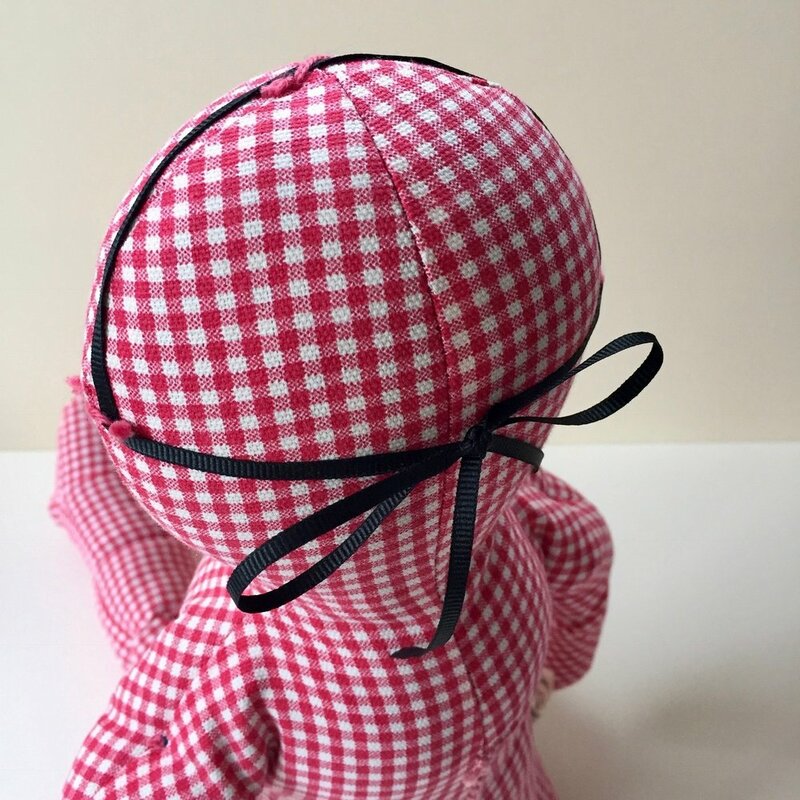 Tuck, tie, knot and weave whatever embellishments you like on the doll's head.